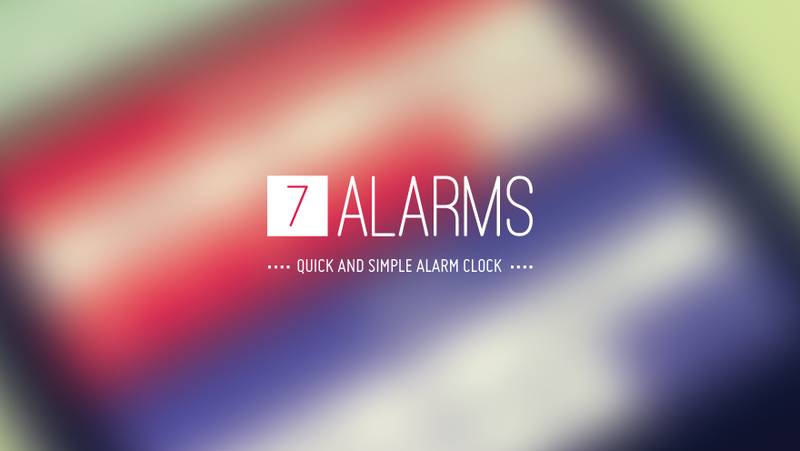 7 Alarms is a quick and simple alarm clock with seven different tunes to wake up to - you can set up your alarms with just a few taps and swipes. It even features an innovative custom control for setting the alarm time. Swipe up/down the change the hours and left/right to change the minutes. 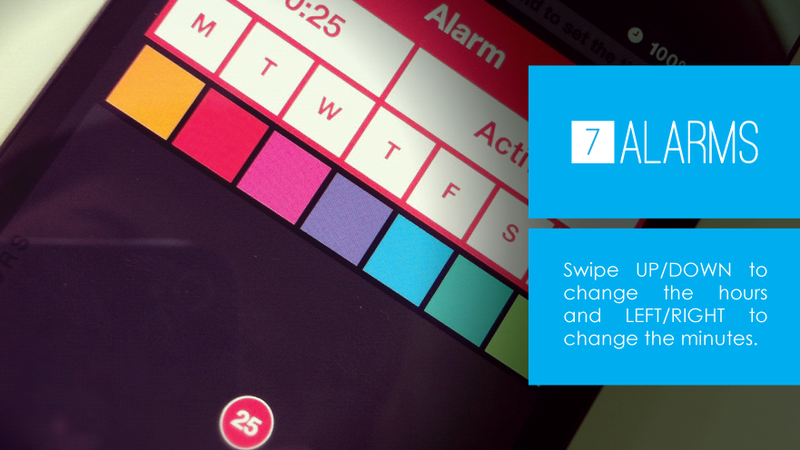 You want just five more minutes of sleep no problem, with 7 Alarms you can easily setup your snooze period on the fly. 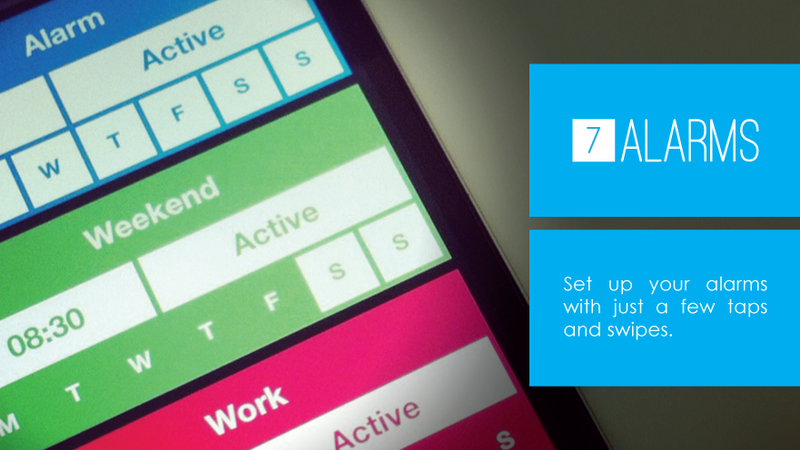 7 Alarms supports seven different colors each with a specific tune. 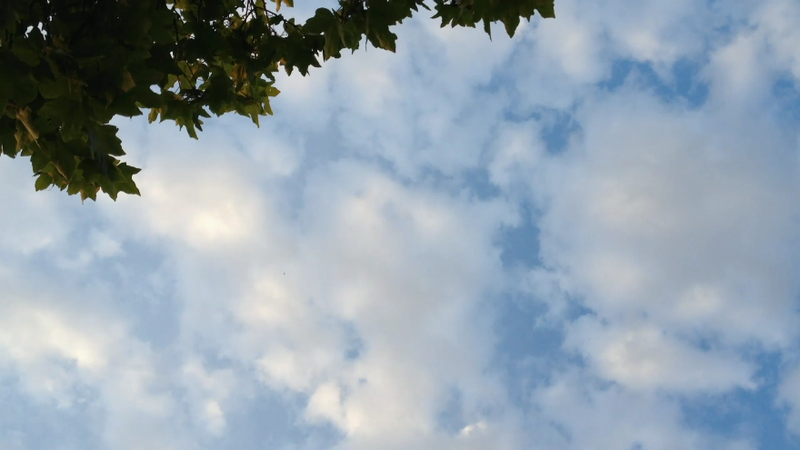 If you're a light sleeper wake up to the nature tune and if you sleep like a rock, maybe some funk will shake you up.